"Chile's Embrujo sole album was originally released in 1971 on the Arena label and it's a very rare and collectable item changing hands for respectable amounts of cash. This can be considered as one of the real South American masterpieces when it comes to psychedelic music, but you will also notice the folk influence in many tracks, with the use of flute, acoustic guitars, piano and beautiful soft melodies. Previous to this fantastic album, the same guys had released another amazing album under the name of Kissing Spell, in 1970, which has been available on CD format since long. 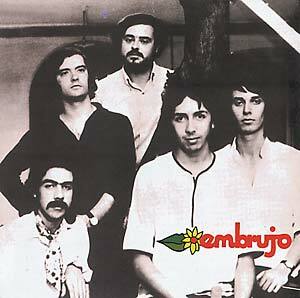 Now, for the first time ever, the Embrujo album is available on CD."